Pregnancy - especially your first - is supposed to be fun, happy, joyful, exciting... right? Michelle Martin, Freelance copywriter, blogger and online business strategist. Most women have concerns at some point during their pregnancy, and normal worries about the baby/babies’ health, what to eat/not eat, activities to avoid, etc. It’s true no two pregnancies are the same, even for the same woman, and every pregnancy carries some degree of risk or uncertainty, no matter how small a chance. But, when you’re going through a high-risk pregnancy, the emotions are even stronger. There’s a lot to deal with, especially if you don’t have anyone in your real life who can relate to your situation. I mean, pregnancy – especially your first pregnancy – is supposed to be fun, happy, joyful, exciting… right? When you’re dealing with a complicated pregnancy, it can often feel anything but those things. It feels scary, worrisome, stressful, emotional, troubling and isolating. It’s not all doom and gloom, though. It wrenches your heart in so many ways, because in addition to all those hard emotions, you’re also excited and hopeful… but mostly SCARED to share that hope with the world. And you feel judged. People think you should be more excited than you are. And it’s not that you’re not excited, it’s that you’re afraid to be excited and get your hopes up. And there’s a few more but there’s no point in continuing to spread the negativity. Of course, so many friends and family have shown such love and kindness during this time for us as well, sending thoughtful messages and being interested in learning about TTTS in order to know what’s going on with me. I really appreciate that, and that’s part of why I want to write about my experience: to spread that awareness. But what you think matters more than what anyone else thinks. You’re growing a baby/babies and you’re the one experiencing the high-risk pregnancy. So how can you stay calm, positive and upbeat during what is and will continue to be one of the most stressful and anxious times of your life? I found a few things that worked for me, as someone who has also struggled with anxiety and depression in the past. I hope these tips help you, too. If you’re like me, you love facts and data. So treat this like any other research project. Read medical studies, read articles, educate yourself about the symptoms and outcomes of your high-risk condition. That doesn’t mean believe everything you read on WebMD… it means read REAL medical studies from actual doctors. For me, that meant learning everything I could about TTTS. Although, be careful that you’re not substituting your own Googling for your doctor’s advice. Your doctor should always be your first point of reference and someone whose opinion you trust. It’s fine to bring up questions with them that you read about online, but don’t be surprised if you interpreted a research study incorrectly. Listen to your medical team, too! I joined quite a few Facebook support groups when I found out I was pregnant with twins, and also a group specific to my high-risk condition. It helped THE MOST out of anything on this list! Even if people in your real life are supportive, it’s still isolating to go through this, because try as they might, others just can’t relate to your situation. Finding a group of other women going through the exact same thing you are can be so reassuring and a great place to find information and hope. Prefer an in-person meetup? 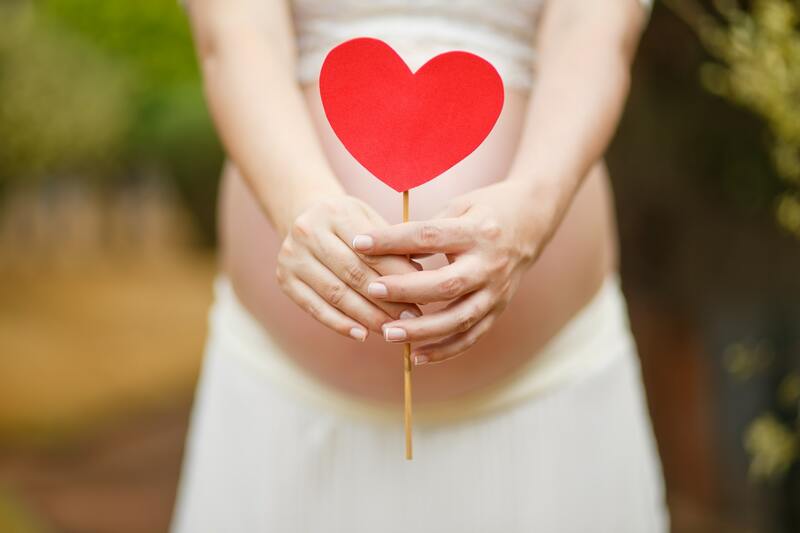 Ask your MFM (maternal fetal medicine specialist), doctor/OB or hospital for a recommendation, or search on Meetup.com. I don’t know about you, but if you’re used to being active like me, having to be on bedrest or otherwise reduced activity can feel like torture. I was used to walking my dog for hours at a time, working 2 jobs, cleaning the house and doing anything I wanted to. I had to force myself to slow down and it was a tough adjustment (and still is). Just remember: this too shall pass. It’s temporary and it’s for the health of your baby/babies during pregnancy. You’ll get your normal body and activity level back soon enough after birth! Another tough one for me. I’m someone who has always prided myself on my work ethic and the jobs I’ve held. I wrap up a lot of my identity in those roles. I went in for an MFM appointment one day and walked out with a letter saying I was off work for the remainder of my pregnancy. Yikes! Talk about a shock to the ego! I suddenly felt kind of worthless. Such a burden on society, not working or contributing. And to my household: now my husband had to cover our bills while I contributed nothing. It was tough to hear and my identity really took a hit for a few weeks. But, I picked myself up, dusted myself off, and invented a new person for myself. A strong and capable mother. A fun and positive friend and citizen. A blogger on a mission to inspire others going through high-risk pregnancies with this website. A loving wife who remembered to make dinner at least half the time (still working on this part). Whatever your new identity looks like, embrace it and find parts of it to love. I promise you you’re still worthy, you just need to see it. Easier said than done sometimes, but necessary. Someone stressing you out too much or asking too much of you? During a high-risk pregnancy, your main focus really needs to be on yourself and getting through this pregnancy. If you’re trying to take care of others too much, you can’t take care of yourself or your baby/babies. Explain what you’re going through and let any negative or time-sucking people in your life know that you can’t deal with them right now, but can revisit your relationship after your pregnancy is over. It felt so freeing to disconnect from that source of negativity and focus on my own journey of positivity instead. You can’t control how your pregnancy goes or what happens to you during it. But you can control your reaction to it. It’s completely normal to be upset, depressed, worried or any other emotion after first receiving what could be devastating news. But remember that as long as there is a chance things could work out… they COULD WORK OUT. Keeping a positive mindset isn’t just a hippie way of saying, “Don’t worry, be happy.” It’s not being positive just for positivity’s sake. It’s about uplifting your spirits and focusing on the good in each day. Slowing your pregnancy down to day by day increments if that’s what it takes (it did for me sometimes). Staying positive gives you back a sense of peace that whatever will happen, will happen, but you’ll be okay. That you can do this and get through it and be stronger on the other side of it. Does every high-risk pregnancy turn out to be a wonderful success story? Of course not. But while you’re going through it, you have the power to write your own story. Make it a story you’re proud to call your own. Michelle helps B2B thought leaders turn their ideas into actionable blog posts that strengthen their personal brand. Michelle is truly passionate about digital marketing and writing. She loves writing on tech-y topics like SEO, conversion rate optimization, SaaS product reviews and more. Michelle quickly realized that having passion for something means you’ll always find a way to do it, even if it isn’t your job. And that's exactly why she writes for a living now.